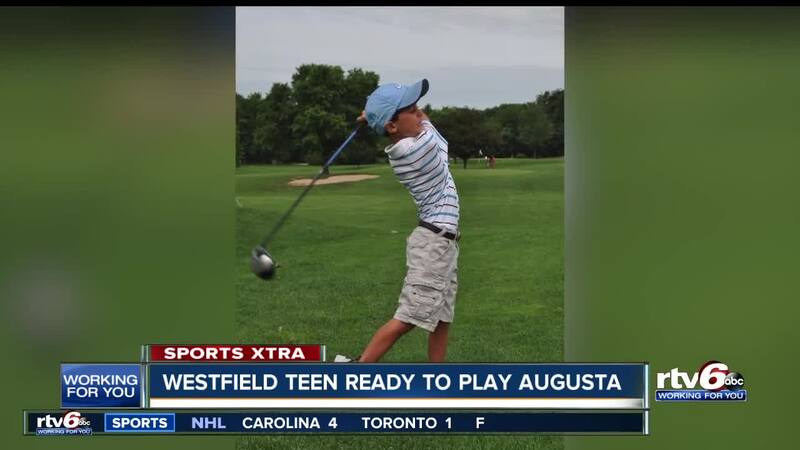 Sports Xtra Spotlight: Westfield teen ready to play at Augusta National. WESTFIELD — Alec Cesare will soon be playing at a place that most golfers wait a lifetime to see. The 14-year-old qualified for the 2019 "Drive Chip and Putt" national finals, to be played at Augusta Nationals on Sunday before the Masters. The PGA hosts the annual event, meant to grow the game among the next generation of golfers. Cesare won fall 2018's regional competition after five years of working his way toward the top. "I could have made it, I knew I had a chance to make it," Cesare said. "I always had a feeling I was gonna make it; I practiced really hard and out-worked everybody else." He's not quite five feet tall and not quite a hundred pounds, but don't think for a second he's playing a small game. "My first drive was 227, next was 235, and my last drive was 237," Cesare said. Although, Cesare's dad, Jeff Cesare, says size does matter. "He's having a lot of success along the way, and in the last couple of years the other kids have grown, and now it's getting really difficult," Cesare's dad said. Going up against the adult-sized competition - it's Cesare's short game that has set him apart. "I always start off with putting three feet, six feet, nine feet and then 15 feet putts around the hole. Then I go to chipping," Cesare said. Cesare's dad got him started golfing at age three. And the kid took to it from the very start. "He had a passion for it, and I could take him out there for an hour and a half, and he'd just bang balls," Cesare's dad said. 'So I knew early on that this was something that he liked." And now it's on to one of the most significant places in the game - walking the same grounds as the best golfers of all-time. "... Looking forward to meeting the players, the pros. Seeing the course and how beautiful it is," Cesare said. "Everybody says it's just a dream, just to go there." Drive, Chip and Putt is open to boys and girls ages seven to 15. Cesare's 12-year-old brother, Jake, also qualified for regionals this year, finishing in sixth place.